OMAHA, Neb. 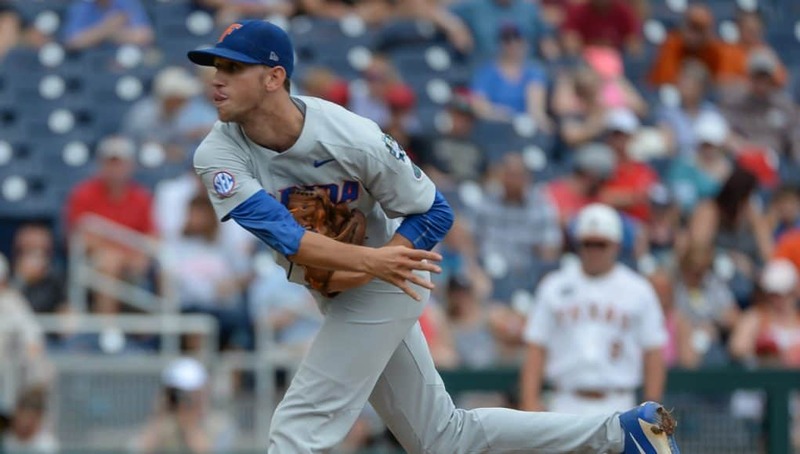 — You could have heard a pin drop on the carpeted floor of the third base dugout inside TD Ameritrade Park during the early hours of Monday morning. Florida had just been handed a loss by Texas Tech and moral was low. 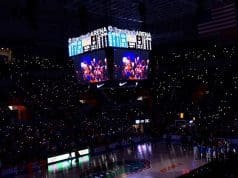 With its season on the line Florida turned to junior Jackson Kowar and he twirled the best performance of his life when he needed to. Kowar struck out a career-high 13 on the way to a 6-1 win to keep the boys in Orange and Blue alive in the College World Series. At one point during the game former Cy Young winner Roger Clemens was being interviewed on ESPN. His son, Kody, plays for Texas and Kowar was on the mound. Florida’s junior threw a changeup that had the bottom fall out of it and Clemens was in awe. “That’s not fair,” he said in response, and he would know. 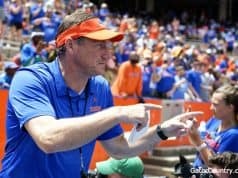 Kowar is turning into a legend around Gainesville with his career winding down. Florida got an early lead. Deacon Liput drew a four-pitch walk to start the game and moved to third on nelson Maldonado’s single up the middle. Jonathan India drove Liput home with a liner into left field. But the story of the game, after Kowar’s brilliance, was Florida’s lack of untimely hitting early on. Wil Dalton hit a ball on the screws but David Hamilton backhanded it and turned two. Schwarz lined out to end the inning. In the second inning the Gators once again had runners on first and third with no outs and eventually bases loaded with no outs after Nick Horvath walked. A soft line out to shallow right, a strike out and groundout ended the frame, stranding all three. In the top of the third the first two runners reached base only to be left stranded again. 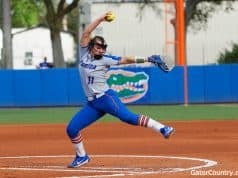 A 1-2-3 inning saved Florida from stranding any more runners in the but they would leave two more on in the fifth for a total of eight. Kowar settled in after a 25-pitch first inning. He retired the side in order in the third, fourth and fifth innings, sitting down 10 in a row at one point before his offense finally picked him up. Blake Reese doubled down the right field line to start the sixth inning but a fly out and a strikeout had fans groaning in the stands, thinking, “here we go again.” Nelson Maldonado stepped up and lined an 0-1 breaking ball back up the middle to score Reese and that hit started a two-out rally. India must have felt really confident when he stepped up to the plate because he launched a 2-1 offering high into the sky and about 10 rows deep into the stands, a three-run blast that blew the lid off the game. Kowar came back out Texas’ 3-4-5 hitters, letting out a primal roar when DJ Petrinsky whiffed on a 97 MPH fastball. O’Sullivan trotted Kowar back out to the mound to start the seventh even though the junior was at 103 pitches. Kowar got two outs before he was pulled after his 121st pitch. Jordan Butler struck out Hamilton to end the frame an Michael Byrne closed the door. Florida will play again on Thursday night against the loser of Arkansas-Texas Tech.